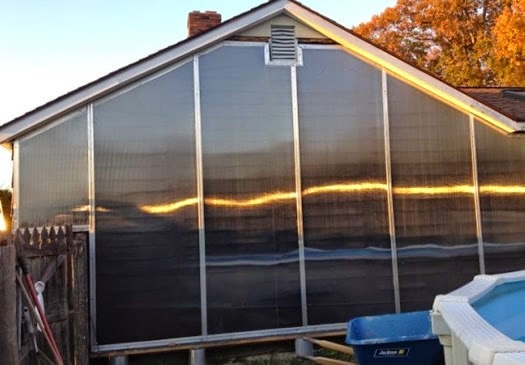 Tim, Doug, and Will provide a very detailed description of a unique solar space heating system along with quite a bit of design information. 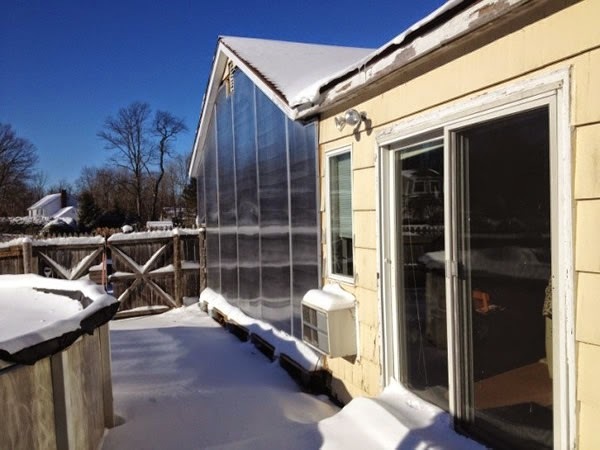 The system uses solar to heat water, which is in turn used for space heating in a radiant floor system. One of the most unique features of the system is that the drain back solar collector uses serpentine path absorbers rather than the usual vertical riser tubes. This arrangement allows the entire south face of the building to be used as a collector, right up to the peak of the roof. In addition to providing more collector area and more heat, it has a very nice look. View of the full wall drain back collector. The absorber uses a serpentine arrangement of tubes to carry heat from the absorber to the tank rather than the more usual vertical riser tube arrangement. This allows the absorber to cover the entire wall all the way up to the peak. This makes for a very nice looking full glazed wall. Shows the serpentine absorber being fitted to the wall. The entire south wall is glazed with greenhouse style twinwall polycarbonate. The full glazed wall makes for a very nice looking collector. Full wall collector with glazing in place. The system also uses a unique heat storage tank design that is partitioned into a warmer and a cooler section. The collector circuit pulls water from the cold side of the tank and returns it to the warm side, and the radiant floor circuit pulls water from the warm side of the tank and returns it to the cooler side. 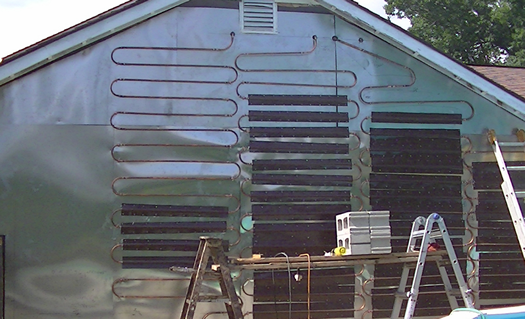 The idea is to allow the collector to run cooler, and therefore more efficiently. 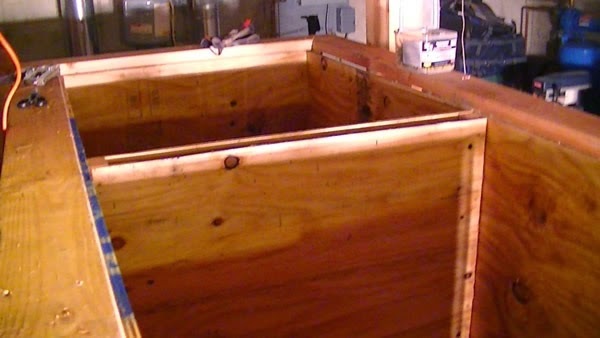 The partitioned solar heat storage tank under construction. I hate to be pedantic, but you can't be "very unique" "more unique" or "most unique". Something is either unique or it is not. You don't think there can be degrees of uniqueness?